Take the Amtrak train to the Roanoke Valley in Virginia’s Blue Ridge Mountains! 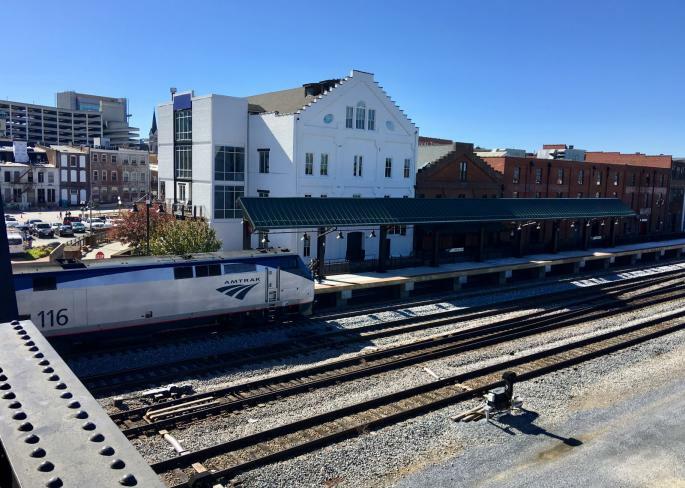 Passenger train service returned to the region on October 31 with a daily Amtrak train that departs and arrives in Downtown Roanoke. 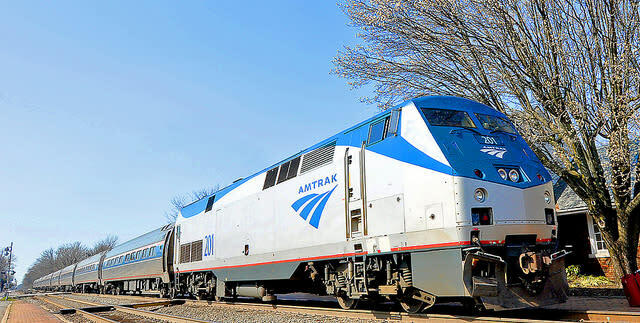 The new stop in Virginia’s Blue Ridge is part of Amtrak’s Northeast Regional Route, making the region easy to reach from destinations like Washington, D.C., Baltimore, Philadelphia, New York, and Boston. Click here for a complete map of the Northeast Regional Route on the Amtrak website. Monday - Friday: Departure - 6:19 a.m. | Arrival: 9:55 p.m.
Saturday: Departure: 8:40 a.m. | Arrival: 9:33 p.m.
Sunday: Departure: 8:40 a.m. | Arrival: 9:48 p.m.
Boarding for the train is 30 minutes prior to departure. You can download this Amtrak brochure for more information. *Schedules are subject to change. Always remember to check Amtrak.com for the most up-to-date information. The Roanoke platform station (Amtrak Code: RNK) is located at 55 Norfolk Avenue SW, Roanoke, VA 24011. Note - This stop features an ADA accessible platform with shelter, but there is no enclosed waiting area, no restrooms, and no ticket office. There is nearby parking available for Amtrak customers at the Roanoke Station Garage at 33 Salem Avenue at a cost of $5 per day. Baggage: There is no checked baggage available. Passengers are permitted two personal items (25 lbs. each) and two carry-on bags (50 lbs. each) onboard. See the Carry-On Baggage section of the Amtrak website for more information. WiFi Onboard? Yes, the Northeast Corridor train features complimentary WiFi internet. Dining Car: The train features a Cafe Car that sells sandwiches, salads, snacks and beverages, including beer, wine, and soda. Quiet Car: Enjoy a quiet, relaxing ride on the Quiet Car, where cell phones are turned off and conversation is kept to a minimum. Tickets & Sample Prices: There is no ticket office at the Roanoke platform. All ticket purchases must be made prior to your arrival and they can be easily booked on the Amtrak website or by calling the reservations office at 1-800-872-7245. The train also features Business Class seating for an additional charge. Pet Program: A small cat or dog in a pet carrier is permitted on the Northeast Corridor trains, but reservations are required. Please visit the Pets page on the Amtrak website for more information about making reservations. 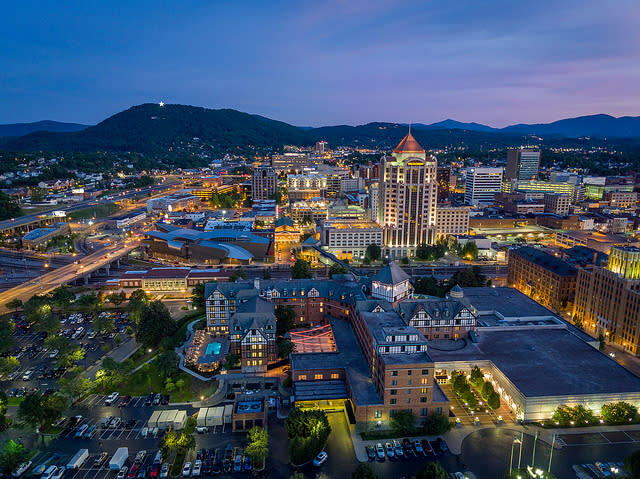 The platform is within walking distance of The Hotel Roanoke & Conference Center and the Hampton Inn & Suites Roanoke-Downtown. There are also numerous attractions nearby, including the Taubman Museum of Art, Virginia Museum of Transportation, Center in the Square, as well as many local shops and restaurants. 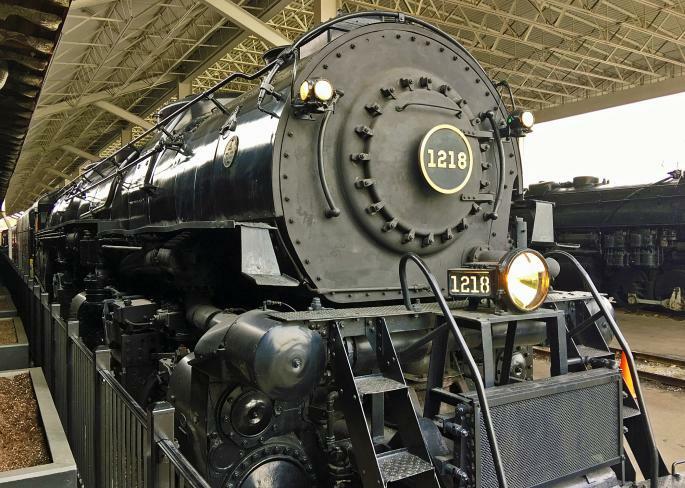 Ride the train to Roanoke and then spend an entire weekend experiencing the rich railroad history of the region with this Railroad Itinerary for Train Lovers. Visit the Amtrak website to book your tickets. An itinerary featuring the railroad heritage of Virginia's Blue Ridge. 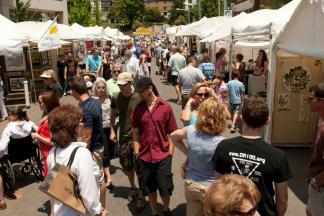 Check the calendar to find out about upcoming festivals, concerts and other special events in Virginia's Blue Ridge! Book a room at one of many local hotels and lodging options.